With the release of Thor: Ragnarok this past weekend, Marvel has closed the book on what is perhaps their best year of releases to date, as ‘Phase Three’ of the company’s aggressive release schedule has proved to be the studio’s most creatively fertile period. We’re 17 films deep into the Marvel Cinematic Universe, and far from being burned out on these films, I find I’m enjoying them more than ever, the films becoming funnier, deeper, and more visually inventive with each passing year. In May of 2016, just as this third phase was about to begin, I published a list ranking what were then the 12 films of the MCU. Now, a year and a half later, and with some of the company’s best films having debuted in the intervening months, I wanted to update those rankings and add thoughts on the five films that have come out since. I’ve written entries on each of those movies, adjusted the rankings accordingly, and edited the original text to better reflect my current thoughts. I have also included links to either my original written reviews of each of the movies or to the Weekly Stuff Podcast episodes where Sean Chapman and I discussed, so you may see how my thoughts have evolved over time. The black sheep of the MCU, The Incredible Hulk is not without its merits – Edward Norton makes a decent Bruce Banner, the animation on the Hulk himself is solid, and the film admirably managed to reboot the character in mostly-interesting fashion without resorting to a rehashed origin story – but with the film having been more or less swept under the rug when Joss Whedon and Mark Ruffalo expertly re-tooled the character in The Avengers, it’s hard not to look at this one as the most forgettable, inessential moment in Marvel’s cinematic canon. Whatever good things Louis Leterrier and company did with the character, Ruffalo and Whedon (and, later, Ruffalo and Taika Waititi) did them so much better that it’s kind of impossible to go back to this movie and see it as anything other than a necessary bit of throat-clearing before the definitive version of the cinematic Hulk would come along four years later. The most critically reviled film of the lot, Iron Man 2 gets a lot of flack it probably doesn’t deserve, for although there are absolutely flaws – this is one of the most structurally bizarre superhero films ever made, and the climax somehow manages to feel even smaller in scale than the underwhelming third act of its predecessor – this sequel really does have it where it counts. Robert Downey Jr. is just as fantastic as ever, and the exploration of a fully self-destructive Tony Stark, while probably not taken as far as it could go, makes for genuinely compelling superhero drama. Gwyneth Paltrow is equally terrific – no duo in the MCU has ever managed to match the chemistry of Tony Stark and Pepper Potts – and Don Cheadle was inspired recasting as James Rhodes, whose transformation into War Machine here is a lot of fun. I’ll even defend Sam Rockwell’s Justin Hammer, who might not be the most intimidating villain ever to grace a superhero movie, but is, to me, one of the most memorable to ever come out of the MCU. 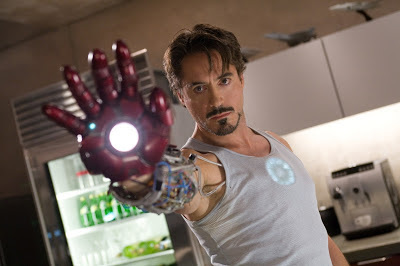 Jon Favreau’s last Marvel at-bat wasn’t perfect, but if he ever wanted to return to the fold, I for one would welcome him with open arms, because warts and all, Iron Man 2 remains a blast. (And as the kickstart for my love for all things Scarlett Johansson, encouraging me to explore her past filmography and seek out just about anything she did in the future, Iron Man 2 will always hold a special place in my heart). Although I absolutely love Chris Hemsworth’s portrayal of Thor throughout the MCU, along with the broader Asgardian mythology, I’ve always regarded his first solo outing as one of Marvel’s lesser efforts. The film comes out swinging where it counts – Hemsworth, Natalie Portman, Stellan Skarsgard, Kat Dennings, and especially Tom Hiddleston, one of the biggest breakout stars of the MCU to date, make for a pretty stellar ensemble – but you can also feel the growing pains in Marvel dipping its toes into full-on fantasy, as the story tends to move in fits and starts, the integration of SHIELD feels mostly clumsy, and the action climax is the most flaccid in all the Marvel films. Still, for introducing us to this side of the universe, and for establishing the sibling rivalry between Thor and Loki, Thor’s inaugural outing is nothing if not a solid early effort. 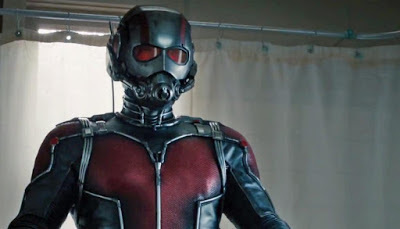 Given the almost ludicrously troubled production history behind this one, it’s sort of amazing Ant-Man came out coherent at all, let alone one of the more pleasantly surprising moments in the MCU to date. 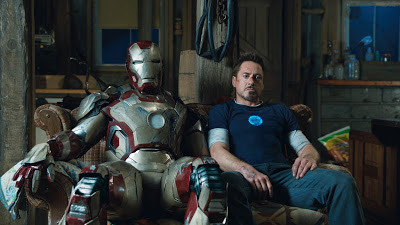 The film feels a little too lightweight overall – the plot, an obvious rehash of the first Iron Man, is the most lacking of any MCU film – but Paul Rudd, Michael Douglas, and especially Evangeline Lilly are so good, their characterization and chemistry so sharp and enjoyable, that it’s impossible to walk away from this one without a pretty sizable smile. And with the ‘macro’ photography used to depict the world as seen by Ant-Man, this is also one of the most visually striking films Marvel has yet produced. Less of an ‘event’ than the first Avengers was, and with moments where the whole thing threatens to sink under the weight of too many characters and too scattered a plot, Age of Ultron is nevertheless a pretty substantial pleasure, with Joss Whedon’s sharp character writing back in full-force. Whedon handles the top-tier characters just fine, but it’s those heroes who don’t get solo outings – namely Black Widow, Hulk, and Hawkeye – who shine brightest this time out. Scarlett Johansson, Mark Ruffalo, and Jeremy Renner easily steal the show, and given that we don’t get to see them quite as much as Cap, Iron Man, or Thor, that is just fine with me. Age of Ultron feels less like a culmination than it does a stepping stone, but if it’s a stepping stone to an MCU where the cast feels richer, deeper, more diverse and more human than ever before, then that’s fine by me. Those who dismiss this film have no heart. 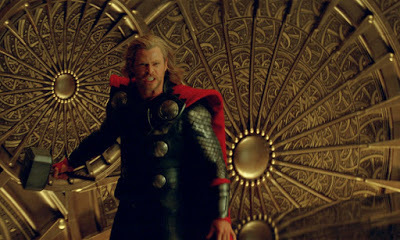 How can you not smile when Thor hangs up his hammer on the coat rack? When Kat Dennings greets of the God of Thunder and asks him “How’s space?”, only to hear Thor respond that “Space is good”? When Natalie Portman reacts to Asgard with one of the widest, most infectious smiles ever glimpsed in a superhero movie? When Loki transforms himself into Captain America just to annoy his brother? The Dark World is one of the most joyous, unabashedly comic-booky comic-book movies ever made, an absolute riot from top-to-bottom, and if its story feels a little lightweight, the film more than makes up for it in inventiveness and charm. I love this silly movie, and if you have a pulse and a sense of humor, you should too. With Iron Man 3, Shane Black got the keys to one of the biggest and most anticipated superhero films yet, and he used the opportunity to make something that pretty well resembles a Shane Black movie, through and through. A comic espionage variation on the usual Iron Man bombast, this third outing has a pretty incredible sense of voice and style, and a tremendous exploration of Tony Stark’s underlying demons to boot. I can absolutely understand how the Mandarin twist might be infuriating to some – if nothing else, it renders what looked like a major event picture into something much smaller-scale than expected – but judged on its own merits, I think it all works just fine, and as the first post-Avengers MCU film, Iron Man 3 proved there was plenty left to do with characters who may have started to seem more or less definitively explored. This is a slight film in many ways, its characters and world less fleshed out and lived in than in other Marvel films, and its script veering a little too close to origin story fundamentals for comfort. It might even be easy to argue that the film is an exercise in style over substance if the style weren’t so damn inventive that it becomes, in fact, the very enjoyable substance of the most visually ravishing and creatively staged film Marvel has ever pulled off. Even if I wish the script weren’t quite so thin, I cannot help but love just how far director Scott Derickson managed to push the film’s weird blend of magic and mysticism in the aesthetics, and how much that transforms a fairly rote story into a pretty rousing adventure. 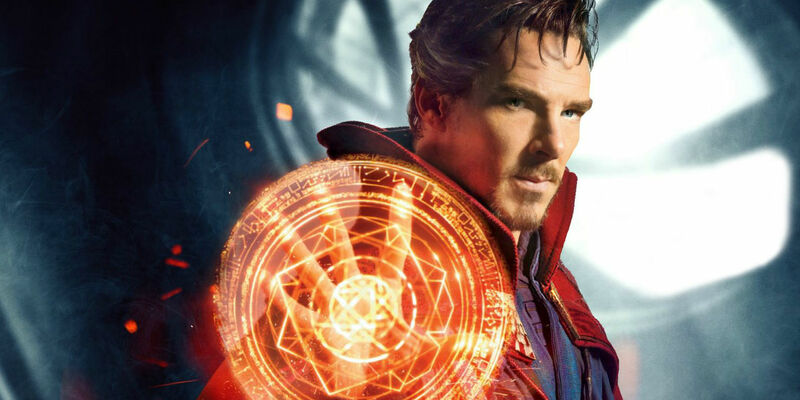 Benedict Cumberbatch proves that the obvious choice is sometimes the correct one, and by the time he shows up in that full, amazing costume – one of the best ever created for a live-action superhero production – the film has settled into a deliriously enjoyable groove that leaves me wanting a lot more from the Sorcerer Supreme. 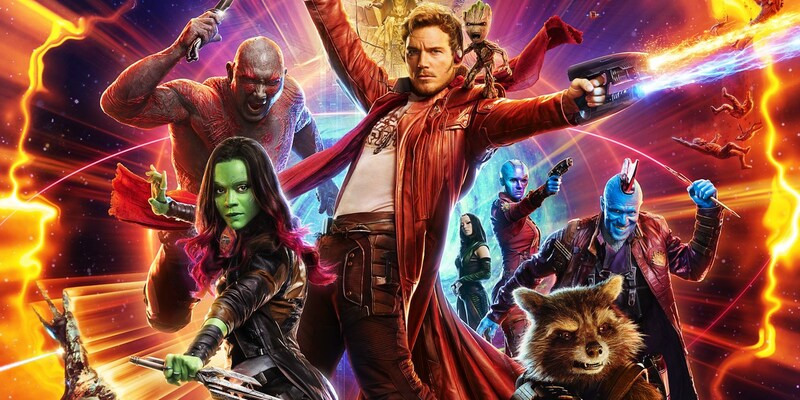 One of the most fundamentally passionate movie ever made within the MCU, Guardians of the Galaxy loses a few points from me for an overly MacGuffin-oriented plot and a few narrative hiccups, but gains a whole lot more for what a wonderful cast of characters it boasts, and for the absolutely overwhelming sense of love for the material that is poured into each and every frame. 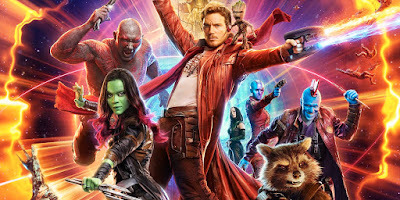 Visually ravishing, James Gunn’s film is as tonally assured and emotionally rich as any superhero film ever made, and establishes a rock solid foundation for future interstellar Marvel adventures. It may not hold a candle to Sam Raimi’s first two Spider-Man films, but it doesn’t have to. The goal of Spider-Man Homecoming was rehabilitation, and it not only leaves Spider-Man in much better cinematic shape than he’s been since 2004, but charts a new creative path for the character vastly different to anything filmmakers have tried before. Tom Holland’s Peter Parker is an actual teenager, who has friends who feel like actual teenagers, who goes to a school that looks and feels like an actual modern high school, who has an appropriately-aged Aunt and lives in the kind of apartment of a person of their socioeconomic status would actually inhabit. Homecoming is all about updating Spider-Man for 2017, and that charge towards authenticity is a big part of what makes the film such a delight. 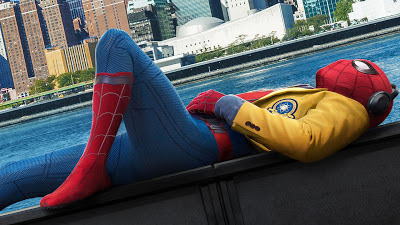 It also makes the film quite a bit slighter than many other MCU films – Homecoming is almost aggressively small-scale at times, feeling more like a really polished TV pilot than a $150-million film – but its charms are outsized, its cast is stupendous (Michael Keaton has the single most menacing scene an MCU villain has ever achieved), and its heart is very big indeed. For the first time in over a decade, Spider-Man feels vibrant and sustainable on the big screen, and I cannot wait to see what comes next. The film that started it all, Jon Favreau’s Iron Man undoubtedly gets extra points for being the MCU’s starting point – none of the other films on this list would be in any way possible without the achievement of this first installment – but it is also a damn fine film in its own right, and at the time of its release, it was nothing short of a revolutionary blueprint for what superhero films could be. At a time when comic-book movies largely seemed ashamed to be comic-book movies, Iron Man boldly declared that it was okay to embrace the silly and the fanciful, all while proving one needn’t sacrifice character depth or emotional stakes to do so. Robert Downey Jr. brought his career roaring back to life in what still remains the greatest and most significant match between actor and character in the annals of live-action superhero history, and in so doing ushered in an audience that would be fully on-board and enthusiastic for the Marvel deluge to come. Marvel has gone on to do many bigger things, it has rarely done anything better. I love this movie. I love this movie so, so much. Joe Johnston took the opportunity to do a superhero period piece and effectively turned it into one of modern Hollywood’s great adventure throwback yarns, a much better Indiana Jones film than the actual Indiana Jones film that came out three years prior. But moreover, this is of course a great Captain America film, made with a deep and abiding love and understanding for its title character, who emerged from this film the most fully-formed, dynamic, and interesting hero the MCU has to offer, proving that just because a hero has a strong, unflappable moral center, doesn’t mean he cannot also be fascinating and three-dimensional in his own right. If you want to understand just how wrong Zack Snyder has gotten Superman in his recent DC movies, look no further than to The First Avenger for a lesson on how a seemingly simple American symbol can actually contain a rich reservoir of emotion, entertainment, and depth. 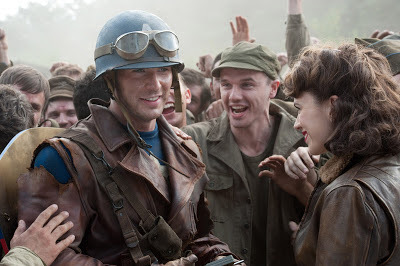 Remember what I just said about The First Avenger mining such rich pathos out of a seemingly simplistic character? Take all of that and multiply it tenfold for The Winter Soldier, which brings Captain America into the modern era, complete with many of the ethical complexities of our time, and manages to make the character’s strong, moral heart beat stronger and in more compelling ways than ever before. As filmmakers, Joe and Anthony Russo are among the major discoveries of the MCU to date, as The Winter Soldier is sturdy, confident, and gripping in ways most Hollywood blockbusters, Marvel or no, can barely even dream of. And in welcoming in a host of new and returning characters from the larger MCU – Black Widow, Nick Fury, Falcon, etc. 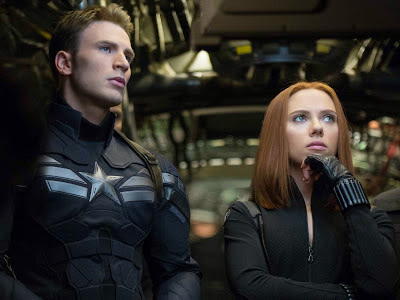 – The Winter Soldier proved Marvel needn’t wait for big ‘team-up’ films to put pieces of their broader ensemble together and watch the sparks fly, a revelation that paid off big time with Civil War (more on that in a bit!). It’s almost impossible to remember how enormous a risk The Avengers seemed when it was announced. It’s like trying to put oneself in the shoes of viewers in 1937, when Walt Disney was planning to make the world’s first animated feature, or in 1997, when James Cameron built a 90% scale model of the Titanic for a romantic epic, or any other act of cinematic folly that seemed destined to be too big a dream to ever fully pay off. But with the groundwork laid so carefully and lovingly in the Phase One films, and with the inspired hiring of dyed-in-the-wool comic aficionado Joss Whedon to tie the whole thing together, The Avengers turned out to be everything one hoped it could be and more, a rich and entertaining intersection of great characters and great performances, bolstered by some of the sharpest character writing ever to grace a superhero epic. 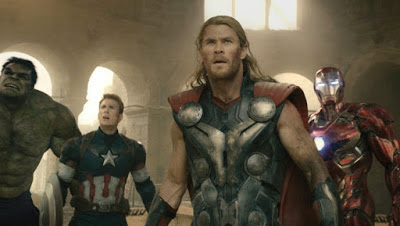 The Avengers understands the conventions of a team-up film deeply, but it also makes better use of those possibilities than I think anyone predicted it would or could, with the action climax in New York remaining one of the shining pinnacles of the MCU to date, a confident and jaw-dropping cinematic miracle. 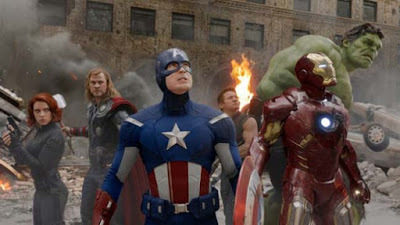 The Avengers remains a high mark not just for Marvel to continue aiming for, but for anyone in Hollywood focused on franchise-minded filmmaking, a watershed moment for the industry as a whole. Plenty has already been written about the many, many things Thor: Ragnarok does well. It has a big, amazing cast and, to a person, uses every actor well, with Tessa Thompson, Cate Blanchett, Jeff Goldblum, and even director Taika Waititi himself (as Rock-person gladiator Korg) all threatening to steal the show from the established heroes. Waititi directs the proceedings with a wonderful sense of visual invention and a deep reservoir of character-based wit. Mark Mothersbaugh’s synth-driven score is one of the MCU’s best, and the film’s use of Led Zepplin’s Immigrant Song in two key sequences is positively inspired. All of these things are true, and yet what truly pushes Ragnarok so close to the top of the pack for me is how firmly it foregrounds the notion of consequence in its storytelling. That’s something all 3 of the films at the top of this list do wonderfully, and is what separates them not just from other MCU films, but Hollywood blockbusters in general. Without getting into spoilers, it is sufficient to say that by the end of Ragnarok, Thor and his world are in a very different place than they started, and the journeys Thor, Loki, Hulk, Valkyrie, and others go on over the course of the narrative feels organic and substantial. Waititi, of Polynesian descent, even manages to build the film’s thematic framework around considerations of colonial legacy, concerns the film refuses to simply brush away. And when the end credits roll, no reset button is hit. No status quo is returned to. Ragnarok is a delirious amount of fun, but it’s also built on real stakes and consequences, and that makes it one of the most memorable and meaningful films Marvel – or any studio dabbling in superhero fare – has produced so far. Speaking of consequences, it doesn’t get much more substantial than this, the film that kicked off Marvel’s Phase Three with a clear intention to shake up everything that had been built over the previous films. 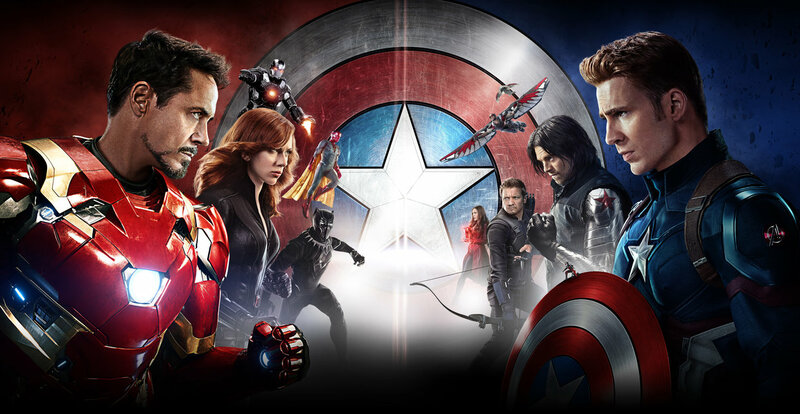 Civil War is in many ways the apotheosis of Marvel’s shared universe strategy, putting most of the MCU’s major players together not in conflict with an external big bad, but with each other, and directors Joe and Anthony Russo soar in playing with all the possibilities that affords. 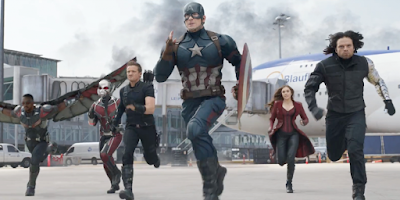 The marquee battle at the airport is the most inventive action sequence the MCU has so far produced, having a ridiculous amount of fun in letting all these well-established powers and personalities clash on such a grand stage. And yet, I come back again to the idea of consequences. I think the film’s script, by Christopher Markus and Stephen McFeely, is wickedly smart, finding an organic and believable line in the sand to draw between superhero camps – how much collateral damage is too much to stomach – and then creating a villain who exploits that schism not to destroy or take over the world, but to punish the ostensible heroes whose adventures inadvertently killed his family. As sprawling as Civil War is, its narrative is ultimately surprisingly intimate, hinging on the personal experiences, beliefs, and differences between team leaders Steve Rogers and Tony Stark, and pushing Chris Evans and Robert Downey Jr. further than they’ve ever had to go in these films. It’s a film that packs a punch not because large sections of the world are destroyed, but because no character walks away unscathed, emotionally, physically, or otherwise. And just as Ragnarok leaves the cosmic status quo in a new and different place, Civil War leaves all its earthly pieces scattered, making for one of the few superhero films that left me not only roused, but genuinely shaken. More than any other Marvel movie, this one snuck up on me – so much so that it’s the only film on this list, or maybe even in its entire genre, that reduced me to a blubbering mess by the end, all three times I have seen it. Vol. 2 takes the raw essentials of everything the first film did well, cuts out most of the fat, and improves exponentially by diving deeper into every one of its weird and wonderful characters. More than most Hollywood sequels, this one not only allows its characters to grow, but predicates every inch of its storytelling on that growth. The larger cosmos isn’t the concern here – it’s the hearts and minds of these previously obscure characters we’ve come to know and love, and the people we meet when the (absurdly joyous) opening credits roll are not the same people we know by the time the end credits start. Like Ragnarok and Civil War, it’s all about consequence and change, and I would argue the emotional journey undertaken here is richer and more profound than anything else the MCU has to offer. 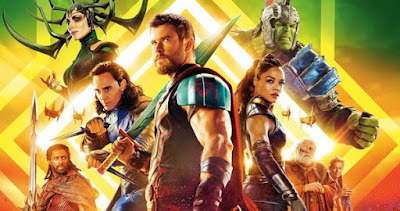 It is also, of course, incredibly funny – perhaps the funniest superhero film ever made (though Thor: Ragnarok has certainly given it a run for its money), layered with so many jokes that you’ll likely be laughing at all new ones on subsequent viewings, or chuckling at old ones in different ways. 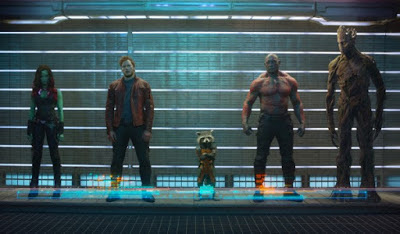 But what writer/director James Gunn understands so fundamentally is that the emotions we feel watching these films fall on a spectrum – that humor and sadness and all the pathos in between aren’t so far apart, and that once we’ve bought into these characters on the wavelength of comedy, we’ll go along with them to just about any other emotional precipice as well. Gunn takes us to thematic places as wide-ranging as childhood trauma, parental neurosis, familial loss, and the depths of guarded, toxic masculinity, and it’s the humor that helps open the door to each and every one of these conversations. It all culminates in the very best scene Marvel has ever staged, a Viking funeral in space that brings half a dozen character arcs to a spectacular yet simple culmination, each on-screen figure reaffirming the value of their own worth and their crazy makeshift family, scored impeccably to a tremendous Cat Stevens song. No other Marvel movie has reached this deep, and in terms of sheer emotional response, nothing else they’ve done has soared so high. The film’s final shot is that of a talking CGI raccoon shedding a tear of mingled joy and grief, and it had me crying as well. If that isn’t emblematic of the kind of magic Marvel can conjure at its very best, I don’t know what is.